Only a few hours left for the Opening Ceremony at the Olympic Stadion 'Kallimarmaron'. 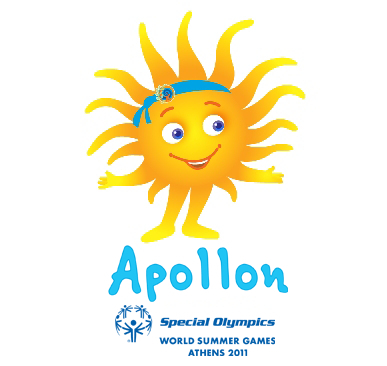 Get in the spirit by looking at the mascot of this Special Olympics Apollon. The Sun is the symbol of optimism, joy and glory. Its light and warmth are considered a source of life and happiness. 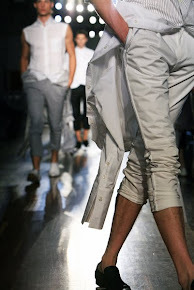 Greece, world known for its Sun, has since ancient times worshiped the Sun as a God. Its selection as the Mascot of the Special Olympics World Summer Games ATHENS 2011, aims to convey the message of joy and optimism towards all athletes, and to welcome them in Greece with a big warm hug. Even though in the Olympics Games, Apollon, as the god of Sun, is present only in the Torch lighting ceremony after being called by the High Priestess, in the Special Olympics of Athens, Apollon will be present and will spread its light to all our athletes, while they will be competing in the sports fields, by keeping the Flame of Hope lighted.